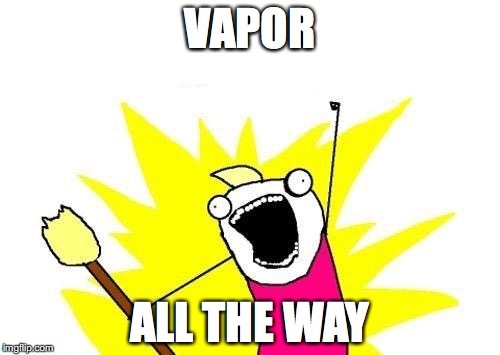 As previously announced here, Vapor framework has just rolled out it’s 2.0 version. Here at Monk Software, we are always looking for new technologies, and we gave Vapor a chance! Vapor is a server-side Swift web framework. Whatever your needs are, Restful API Server, display html pages, send emails or push notifications, Vapor will suite almost everything. What we are going to cover in this blog post? Today, I wanna show you how easy it is for you to start with a Vapor API template, add some endpoints and then deploy your server to Heroku. I assume you are on a Mac with Swift & Xcode installed, if not, please install Xcode (Swift it’s bundled inside), if you are on Ubuntu, please follow this guide to get started. In a few, Vapor should download all dependencies and create a folder with given app name. this will generate .xcodeproj, type ‘y’ to open in Xcode. build will extract a build to be deployed, than run will start your server. let name = req.data["name"]?.string ?? ", what's your name? :D"
This code simply does two things, adds new API to endpoint 0.0.0.0:8080/greet, than check if there is in the URL a parameters called “name”, if present, it will return a string “Hello” with the name provided, if not, it will ask you what’s your name, simple as that. Save and re-run our server by pressing play in Xcode. Everything should work like local server. Congratulations, you have just created and deployed a Restful Vapor Swift server in the cloud! Hope you enjoyed this tutorial, more will come soon! This entry was posted in Coding and tagged api, programming, restful, server, swift, vapor. Bookmark the permalink. ← The MONK family has moved to a new venue! Monk Software Housewarming Party: the Gallery - Monk Software on The MONK family has moved to a new venue! Be. Mo: Monk Software beer gets serious - Monk Software on We brew because we are Monk!